You know the drill with these posts by now, right? I’ll complain I’m sick of being cold and ramble on about S/S like it isn’t months away and then add half of this list to my wardrobe. Got the gist of it? Good, because that’s exactly how today’s post is goin’ down, but I’ll leave out the complaining. I really want to get my mitts on some boyfriend jeans that actually suit me this year. I have some from Zara but, despite being an 8, they’re huge fitting and just don’t flatter me so I’m leaning more towards the ‘skinny boyfriend’ look. The ones above are in the perfect wash and would look great with the striped or white chambray shirt tucked into them. 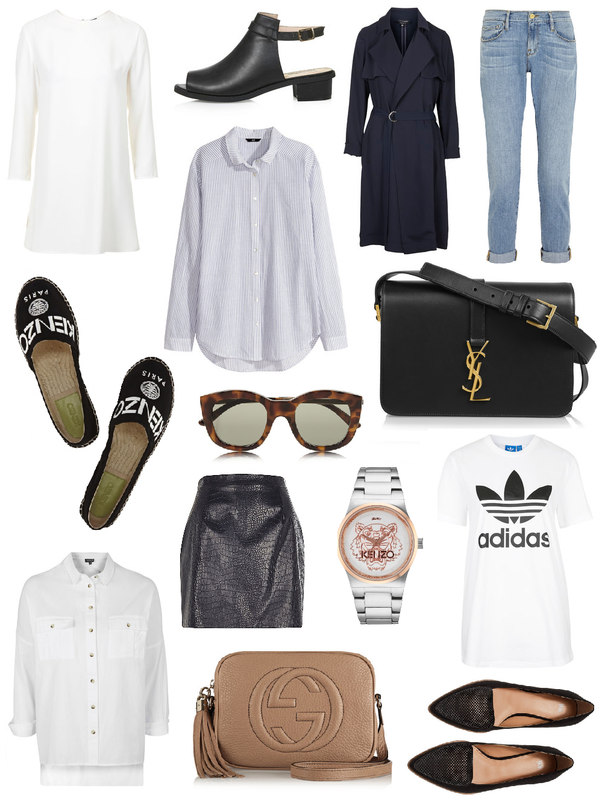 I’m very tempted to pick up the classic Adidas tee to throw on over jeans and under a white blazer, along with those Kenzo espadrilles which I may or may not have already bought (hint: I did). I think I’ve featured this Gucci bag before, but it’s no.1 on my dream purchase list right now and I think about it at least once a day. Ob-sessed. What are you after at the moment? Or picked up recently?